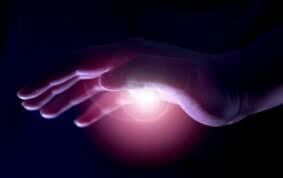 I will be posting in detailed steps how to heal yourself and others by energy healings. Once all the postings are completed, I will create an e-book with all the posts. We all have the abilities to heal ourselves and others. I am a healer, but I am no different from any one of you. Anyone can heal themselves and others. You are now awakening. And with that awakening, you will be finding out what your gifts are. One of the gifts is the ability to heal yourselves and to heal others. The upcoming posts will be very detailed outlining step by step on exactly what I do when I heal. You can use this as a guide when you heal and then modify it to fit your style. This includes whether someone is physically here with me or if it is a distant healing. In order to be a good healer, you must have the intention to heal. If you intent to heal someone from your heart and if your intentions are pure, the healing will work. Do not be disappointed or think that you cannot heal if the person does not feel anything. You are just starting out and you will need practice. I started out just like you. I am no different from you. It helps if you believe in the healing and if you are spiritual in your beliefs. Energy will always follow your intention, feelings and thoughts. Remember that you are now manifesting what you think and feel. If you think and feel that you can heal, then you will heal. Healing will be needed in the upcoming times as so much is now coming up for release that does not serve your highest and best good. People are angry, they are holding on to hurt, to pain, to lack of forgiveness. There is so much that people are experiencing now as they are releasing and awakening. The energy healing will help them cope with this. The healings will help guide them on what needs to be done to release these things that do not serve their highest and best good. The healings will help them shed the dark and open themselves to the light so they can find their I Am Presence, their true Self. In addition, there is so much personal satisfaction knowing you are in service to others. I cannot tell you the feeling I have when someone tells me how profoundly different and better they feel after the healing. That feeling is priceless. I always tell people you cannot buy that feeling from a bottle you drink at Wal-Mart. Healings are something I love to do. I am confident that healings will be something that you will love to do. We all have love in our hearts and what you do for others, you do for yourself, as we are all One. So please, look for future postings on how to heal yourself and how to heal others. If you are dedicated and motivated and have the intention to really want to heal and help others, you will be a great healer. It does takes practice and persistence. I will show you step by step, in great detail, exactly what I do, how I prepare, the things I say, all of it. It is not a secret that I keep. I want everyone to be a healer so that you can help others. I tell you, the best feeling in the world is knowing that you have really helped someone. To see that person genially happy with how they are feeling and what they have released is a blessing in itself. And to know that YOU have helped make this happen is a priceless feeling. It will make you feel so good. It will put a smile on your face. It will raise your vibration knowing you have raised theirs. You will want that feeling in you all the time. It is so wonderful and magical. You will be happy and smiling all the time. You will find your heaven on earth. But you have to want to do this, from your heart. With no expectations and strings attached. That is when your rewards will come, a feeling that is unmatched. So look for my upcoming post, which will be step 1 of many steps. I do not know how many steps will be involved as I am writing this as I go. Thank you all for being on this wonderful journey with me. I am sending all of you lots of love and so many blessings. How does one go about healing karma? Is it possible? Good post.. many will learn to heal the right way… We ALL can do it… is a matter of practice and LOT OF LOVE AND CHOCOHUGS !!! Thank you Andy those up coming postings will be so good. I’m looking forward to them and have such a strong wish to heal others, to make a positive difference in others lives and in my own life to. After all the yearning for change your healing steps will be a large part of the New for me, as my heart fills with love, brings a tear to my eye and says “that’s you Leigh” to me. I love it when that happens. This entry was posted on June 4, 2013 by Andrew Bojarski in Andrew's Posts and tagged Arch Angels, Ascended Masters, Ascension, Awakening, Chakras, Channeling, Energy, Energy Healing, Healing, Higher Self, Love, Meditation, Spirituality.